Fellow classic film aficionados will be interested in an upcoming coast-to-coast re-release of a classic silver screen adaptation of a famous musical. Poster artwork for the cinematic adaptation of “West Side Story” (1961). Turner Classic Movies, in conjunction with Fathom Events, Metro-Goldwyn-Mayer (United Artists holdings) and Park Circus (exclusive cinema re-issue representatives for MGM/UA) will present the upcoming re-release of “West Side Story” (1961). The TCM/Fathom Events “Big Screen Classics” revival showcase of “West Side Story” will occur in participating cinema venues throughout the nation on Sun., June 24 and Wed., June 27 at 2 p.m. and 7 p.m. (local time). This is part of the network’s “Big Screen Classics” series of classic/cult feature film revival presentations. The TCM/Fathom/MGM (UA)/Park Circus re-release of the cinematic adaptation of the Leonard Bernstein–Arthur Laurents–Stephen Sondheim musical will also have pre-recorded opening introduction and closing conclusion segments by TCM host Ben Mankiewicz. The screenplay adaptation of “West Side Story” was written by Ernest Lehman. The cinematic adaptation was directed by Jerome Robbins and Robert Wise. Who was in “West Side Story” (1961)? 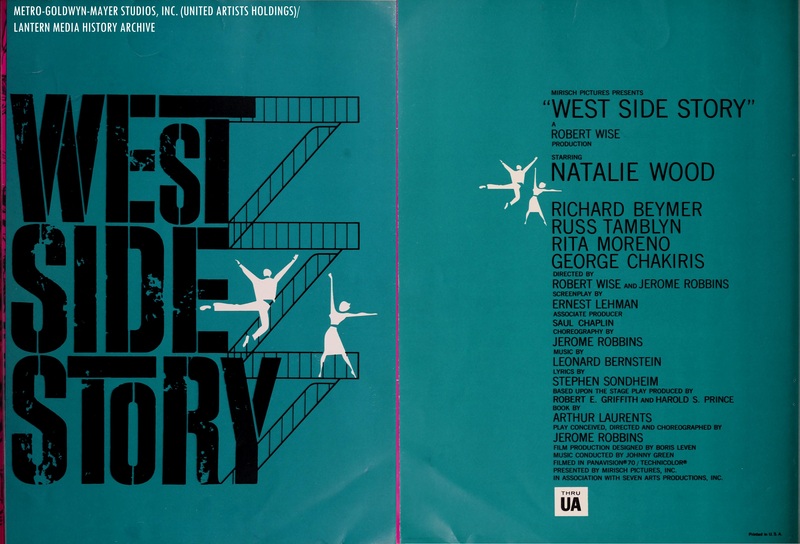 The players who were in the feature film adaptation of “West Side Story” (1961) were Natalie Wood (as Maria), Richard Beymer (as Tony), Russ Tamblyn (as Riff), Rita Moreno (as Anita), George Chakiris (as Bernardo), Simon Oakland (as Schrank), Ned Glass (as Doc), William Bramley (as Krupke), Tucker Smith (as Ice), Tony Mordente (as Action), David Winters (as A-rab), Eliot Feld (as Baby John), Bert Michaels (as Snowboy), David Bean (as Tiger) and Robert Banas (as Joyboy). The Robbins-Wise production of the Bernstein-Sondheim musical won 10 Academy Awards, including Best Picture (Wise), Best Actor in a Supporting Role (Chakiris), Best Actress in a Supporting Role (Moreno), Best Director (Robbins and Wise), Best Cinematography, Color (Daniel L. Fapp); Best Art Direction/Set Decoration, Color (Victor A. Gangelin and Boris Leven); Best Costume Design, Color (Irene Sharaff), Best Sound (Fred Hynes and Gordon Sawyer), Best Film Editing (Thomas Stanford), Best Music Score (Saul Chaplin, Irwin Kostal, Johnny Green and Sid Ramin). Be sure to experience “West Side Story” (1961) on the big screen! Portion of the 1961 United Artists exhibitors ad for “West Side Story” (released by UA, co-produced with the Mirisch Company and Seven Arts Productions). United Artists re-issue trailer for 1961’s “West Side Story” (ca. late 1960s-mid 1970s, with the “Transamerica T” UA logo variant at the end, Transamerica owned United Artists from 1967-81). Whether you have watched “West Side Story” (1961) on TV, any of the earlier re-issue screenings or if this will be your first time seeing the award-winning Robbins-Wise film adaptation of the Bernstein-Laurents-Sondheim musical, you will not want to miss out on the action between the Sharks and the Jets for TCM/Fathom Events’ “Big Screen Classics” revival screening of “West Side Story” (1961, a “modern” twist on Shakespeare’s “Romeo and Juliet”). Perfect for all cinematic aficionados and fellow students of the TCM/Ball State University online “Mad About Musicals” course! To find the nearest cinema location in your hometown (that will be participating in Turner Classic Movies’ revival screening of “West Side Story”), type in your zip code on the official Fathom Events site. “West Side Story” (1961) is also available on a Blu-Ray/DVD combo pack, standalone Blu-Ray disc and standalone DVD disc from MGM Home Entertainment (distributed exclusively by Twentieth Century Fox Home Entertainment, by arrangement with MGM/UA). The film is also available to rent/stream on participating video-on-demand providers (by arrangement with MGM/UA). 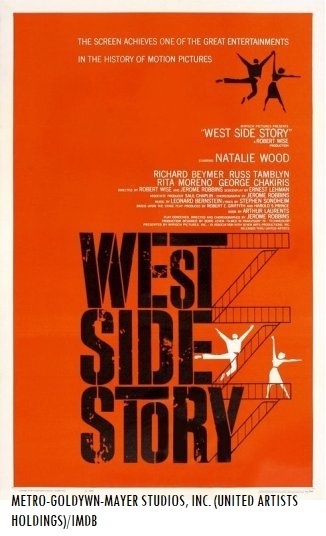 Questions/comments about the upcoming “TCM Big Screen Classics” re-issue of “West Side Story” (1961)? Drop a line at the comments section!